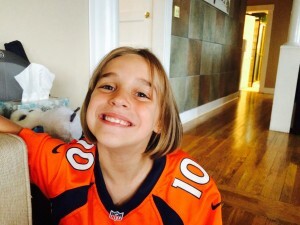 Meet Julia, one of the BEST sports fans Denver has ever seen! She’s the daughter of Dan and Mel Wisdom, owners of Wisdom Real Estate and she fully embraces how much our company loves to support the local pro teams. She actually loses her voice after Avalanche games, and we think it’s something you should try too! Check out the schedule links below so you can grab a ticket and get cheering! We hope to see you at a game soon!